Here is a great - and difficult - song by the multi-talented singer, Caterina Valente, able to sing in any language and to adopt any style, who was one of the favorite performers of Mel Tormé. Caterina Valente (born in 1931 in Paris) is an Italian-born singer, dancer and actress. 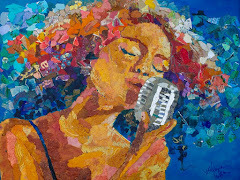 She comes from an Italian artist family; her father was a well-known accordion player, her mother, Maria Valente, a musical clown. 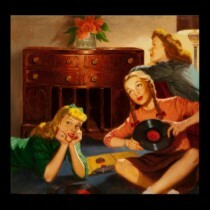 In 1953, she made her first recordings. 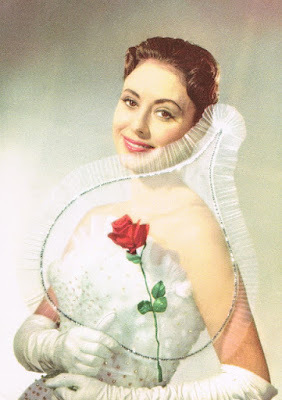 Soon afterwards she achieved great success with songs like "Malagueña" and "The Breeze and I". In 1955 she was featured on the "Colgate Comedy Hour" with Gordon MacRae. In the mid-1960's, Caterina worked with the legendary Claus Ogerman and recorded material in both Italian and English that he arranged/conducted and/or composed on the Decca and London labels. Between 1966 and 1972 she was a frequent guest on the Dean Martin Show. In Germany she was a major performer. There she recorded Cole Porter's "I love Paris", which sold more than 500.000 copies. Over the years, she has recorded or performed with many international stars, including Louis Armstrong, Benny Goodman, Ella Fitzgerald, Woody Herman, the Tommy Dorsey Orchestra, Buddy Rich, Sy Oliver, Claus Ogerman, and Chet Baker. Valente is a true world citizen and a polyglot, having sung in twelve different languages. After her first musical successes, she acted in the movie "Mannequins for Rio" (1954) and has performed in fourteen additional films. She also plays the guitar. 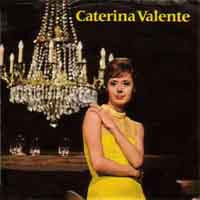 Listen to the great voice of Caterina Valente and enjoy!